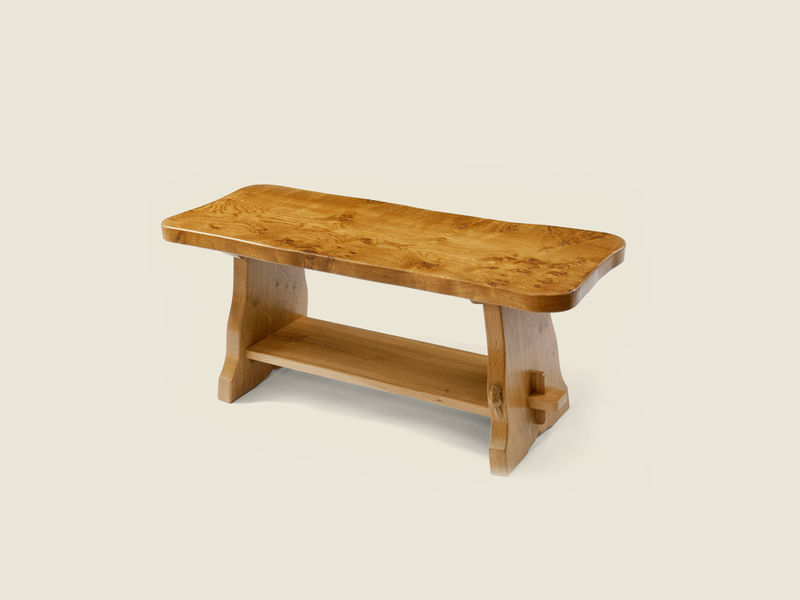 Finest quality handmade "rustic" occasional table with solid ends and shelf. Shown in "medium fume" Burr oak. The planed table top has been treated with polyurethane lacquer to provide protection against heat and spills but may be oiled or waxed. "Burr" oak is highly sort after and each "burr" oak table is priced individually and sizes do vary slightly.